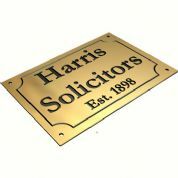 Brass Plaques - With our state of the art technology we can manufacture any size or shape of plaque. We can reproduce corporate typestyles and logos from your designs/artwork. Our brass plaques are beautifully crafted by our experienced craftsmen. Stainless steel Plaques - With our state of the art technology we can manufacture any size or shape of brushed or polished stainless steel plaques. We can reproduce corporate typestyles and logos from your designs/artwork. Our plaques are beautifully crafted by our experienced craftsmen. 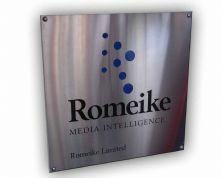 The silver anodised aluminium plaque is ideal for the more contemporary nameplate. It is also harder than brass and therefore more restistant to scratching. It can be engraved in a range of fonts and looks very stylish. Name Plates. 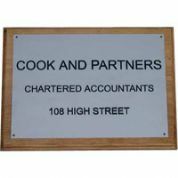 Signbuyer.co.uk manufactures metal name plates from aluminium, stainless steel or brass supplying into a number of markets. 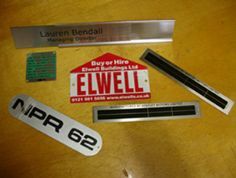 These metal nameplates can be used as technical data plates, vehicle identification VIN plates or serialisation plates. These plaque exterior laminate signs are ideal for house names, outdoor information signs and name plates. 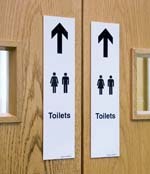 They are very durable, the letters are engraved through the first layer of laminate to show the colour underneath.